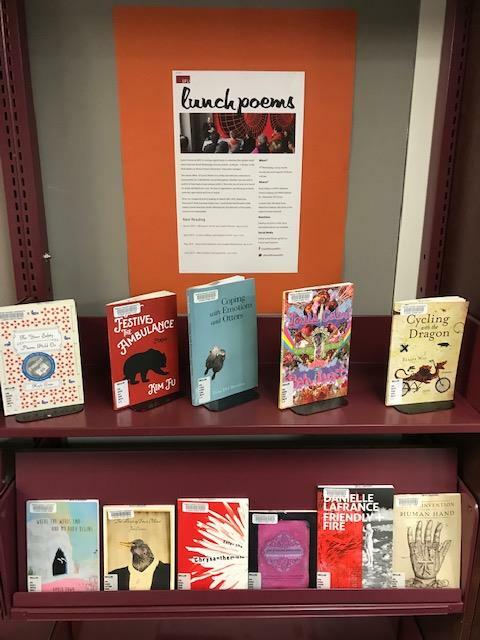 Visit Belzberg Library to check out our "Lunch Poems @SFU" collection of poetry by local poets now on display on the library's mezzanine level. The collection features poets who have participated in SFU Vancouver's Lunch Poems series of readings every third Wednesday. Go ahead and borrow a book and take a poem to lunch!